Traditional hand engraved 14k yellow gold Celtic cross hallmarked at the Irish Assay Office in Dublin Castle. 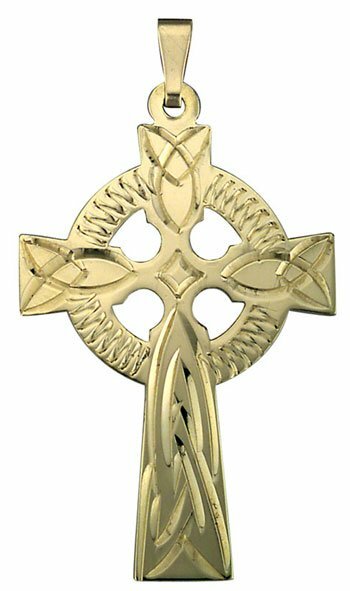 Handcrafted in Ireland from the finest 14k hallmarked yellow gold this beautiful Celtic cross is available in two sizes. The intricate detailing on the face of the cross is hand engraved by master engravers in Dublin. This guaranteed Irish Celtic jewelry piece is shipped for free from Ireland.